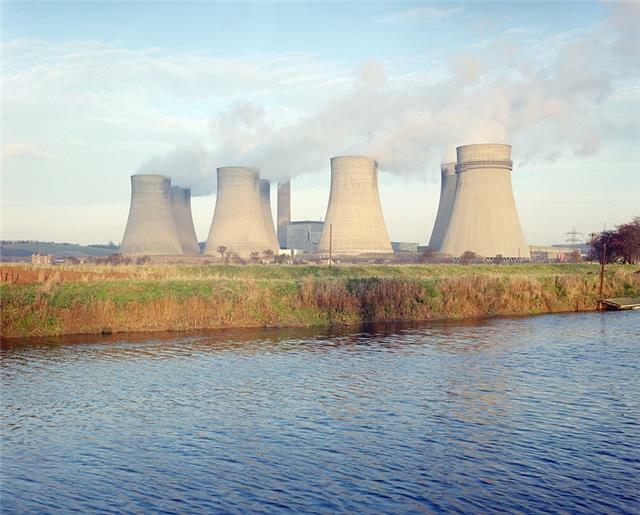 As the UK moves towards lower-carbon energy production, sources such as nuclear power and renewable energy have gained more importance as have approaches that capture and store the carbon from fossil fuel power stations. This move is required to reduce the UK’s emissions of greenhouse gases (GHGs), enforced by the Energy Act (2008) and climate change policy. The lower carbon technologies, although essential to reduce the emission of GHGs, can have their own environmental impacts. A resource which has already seen both the direct and indirect impact of these technologies is groundwater. Groundwater contributes 27% of overall public water supply in the UK, rising to over 75% in areas of the south-east of England. It also helps to sustain our lowland rivers and wetland ecology. The importance of groundwater is only likely to increase in the future as its buffering capacity should help to reduce the impact of extended dry periods that may result from climate change. As well as being impacted by changes in energy production, groundwater bearing rocks, which provide a source and a sink for heat, can also contribute directly to the provision of renewable energy via geothermal technology. Here we identify the role that groundwater can play in achieving the Government’s low carbon transition plan but also address the detrimental impacts on groundwater and dependent ecosystems that may arise as a result of these technologies. 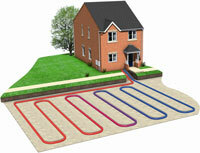 ground source heat pump system. Geothermal energy is produced from heat stored in the earth originating from when the Earth was formed, from radioactive decay of minerals and from solar energy absorbed at the surface. Although there are deep hydrothermal reservoirs beneath the UK from which hot groundwater (70-90oC) can be harnessed, the majority of geothermal schemes in the UK are small scale and completed at shallower depths. With these, either groundwater is pumped from which energy is extracted or a conducting fluid is heated as it passes through a closed loop of pipework buried in the ground. Heat exchangers at the surface allow the heat to be removed. These systems, known as ground source heat pumps (GSHP), can also be used for cooling during summer months when the ground temperature is lower than the surface air temperature. GSHP systems are used for cooling within the Royal Festival Hall, London with groundwater in the underlying Chalk aquifer providing the sink for heat. There are two aspects to the environmental risk associated with GSHP systems for which they attract interest from environmental regulators. The open-loop systems can require significant quantities of groundwater to be abstracted and therefore have a potential water resource impact if this is not balanced by water being re-injected. Also, the re-injection water poses water quality issues and is defined as a discharge which requires consenting. There are also indirect impacts of the re-injected water associated with heat pollution. Overall increases in groundwater temperature may result in rock minerals becoming soluble and hence adversely changing water quality, or, if groundwater with raised temperatures discharge to the environment, there may be a detrimental impact on the associated ecosystem. 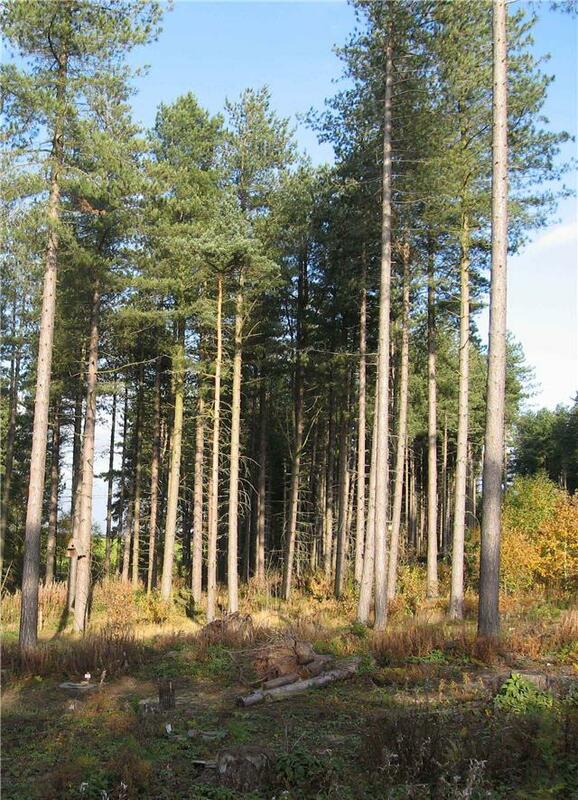 By far the biggest contributor to the UK’s renewable energy target is biomass technology which supplied 50% of the UK’s renewable energy contribution in 2008 and has been steadily increasing since the mid 1990s. Energy crops are a large contributor to biomass technology which involves growing biological organisms for the purpose of energy generation. While burning crops for fuel releases CO2 into the atmosphere, planting the next round of crop removes it again making biomass an essentially carbon neutral fuel option. 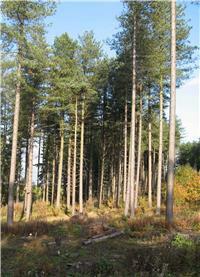 The principle energy crops are willow, poplar and energy grasses. There are implications for the environment with the growing of these crops; this includes their water supply demands and changes to groundwater recharge and surface water run-off. Energy crops have a high water demand and their planting in water scarce areas may put a significant stress on already depleted groundwater resources. Nuclear power is viewed by the government to be an affordable, dependable and safe low carbon energy supply to compliment the renewable energy strategy. By 2020 the Government plans to have replaced its existing nuclear power plants, maintaining the current level of the UK’s energy production at ~20%. Although not Government policy as yet, it has been suggested that 40% of the UK’s supply could come from nuclear power by 2030. With this target comes an onus on energy companies to not only build the station but also to meet the cost of future decommissioning and long-term radioactive waste management. The disposal of high- and intermediate-level nuclear waste is to be addressed through deep geological repositories. Clearly waste stored within the ground must be prevented from leaching into groundwater where it becomes mobilised and potentially polluting. Criteria are set out by the Managing Radioactive Waste Safely Programme for the deep geological storage of radioactive waste which prohibits storage development in aquifer units. Full assessment of suitable sites will require considerable hydrogeological expertise and a skilled workforce to deliver it. Although renewable and nuclear energy sources should meet a large proportion of our energy demands, there will still be a reliance on coal power stations. The UK Low Carbon Energy Plan estimates 22% of our energy will be supplied by coal in 2020. In order to make coal a viable low carbon option, power stations must be designed and built to harness carbon capture and storage (CCS) technology. The storage of supercritical CO2 in deep offshore geological formations is still in the development stage but research into the technology has been on-going since the 1990s. However, assessing the impact of carbon sequestration in deep offshore formations on onshore groundwater systems has only been considered more recently. Pressure build-up at the injection site will be significant and could be equivalent to 200 to 500 metres groundwater pressure head. Dissipation of the pressure wave away from the injection zone through the storage formation or overlying horizons could cause increased groundwater pressure heads at considerable distances. The potential exists for increased groundwater pressures to cause saline groundwater to flow into good quality aquifers and an increase in the discharge of groundwater at surface. The risk associated with these impacts is expected to be low however especially with thorough regulation and detailed site assessment. The issues raised here will see groundwater scientists and engineers having to apply their skills to new areas and to interact with scientists from different disciplines to assess impacts and optimise the application of new technology. The requirements on the energy sector to reduce GHG outputs in turn put an onus on the environment regulators to ensure that the alternatives do not have unacceptable local impacts. The water industry, too, has a requirement to reduce its carbon footprint by reducing energy use which in relation to groundwater is primarily the optimisation of pumping and treatment schemes. Clearly there are challenging times ahead but ones in which action is essential to ensure the UK meets its global responsibilities.